Popup Blockers for Chrome: Advertisements and popups that creep up whenever you start browsing the internet can be really annoying. It not only mars your browsing experience but also takes up your valuable time while trying to shut them. Also, some of these pop-ups do not actually ‘pop up’ in the true sense but hide under the tab you are currently viewing and can show up when you least expect them. Putting an end to this menace can be very satisfying, to say the least as it can improve your browsing experience by a big margin. Now, there are many tools available that can do the job of blocking these annoying advertisements and also popups very well. Since Google Chrome is one of the most popular and widely used web browsers at present, we decided to check out some of the best popup blockers for Chrome ourselves and make a list to help you out. Before we start talking about pop up blockers for Chrome, it is interesting to note that Google Chrome comes with a built-in popup blocker of its own to disable these annoying ads. You can find the feature by heading to Settings> Show Advanced Settings> Content Settings> Popup> Allowed/Blocked. You can choose to disable popup here if you wish. However, you may notice that the default blocker is not capable of blocking any and every annoying ad that shows up on websites. For that, you will most certainly need a third party popup blocker. 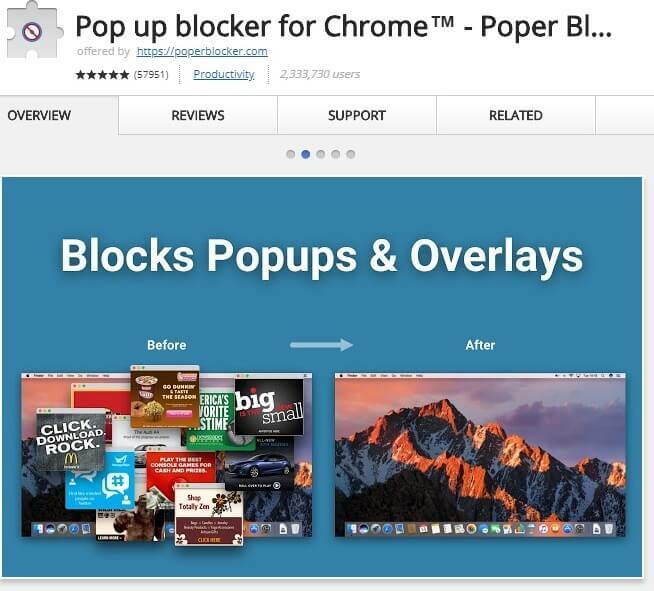 Poper Blocker is first on our list as we found it the best popup blocker for Chrome among the ones we tested. Specifically designed to block the irritating advertisements, it not only blocks the popups but also blocks a website from opening a new tab on its own in addition to blocking the site overlay layers. 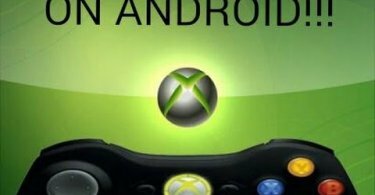 It can also be used alongside any ad blocker for Chrome as well without interfering with its functioning. With a great customer support from the developer, Poper Blocker is only growing better day by day. uBlock Origin is an open structure ad blocker for Google Chrome that does the job really well without putting too much burden on the system. With a customizable blocklist, uBlocker allows the users to hide placeholders of blocked page elements giving it a cleaner look. It can also efficiently block pop-under advertisements that hide under a tab and are even more irritating. Users can also use custom created filters to manage the ads on a web page. 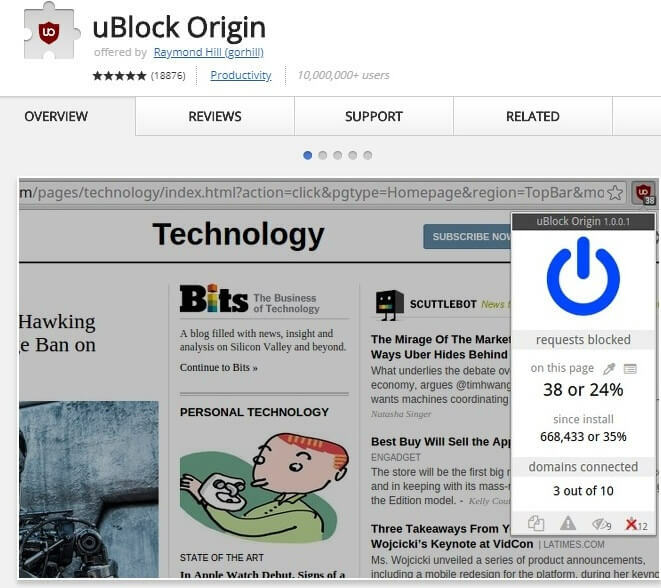 uBlock Origin is available for free on the Google Chrome store. 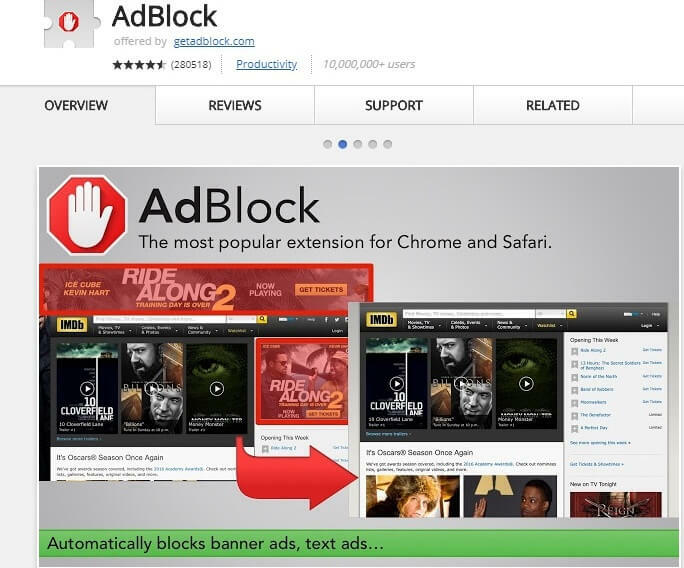 AdBlock is one of the most widely used popups and ad blocker for Chrome due to its catchy name and free availability. AdBlock can work automatically after installation to block advertisements on web pages and video streaming sites like Youtube. 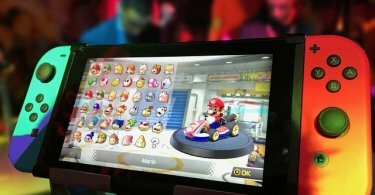 It comes with a whitelist feature to allow certain sites to display ads. It also has a filter list subscription system to customize your web surfing experience. It can even be used to block certain elements of a web page that you do not wish to see, like social links. It is available as an extension on the Chrome web store. If you are someone who does not like advertisements of any kind at all, then you should use AdBlocker Ultimate. 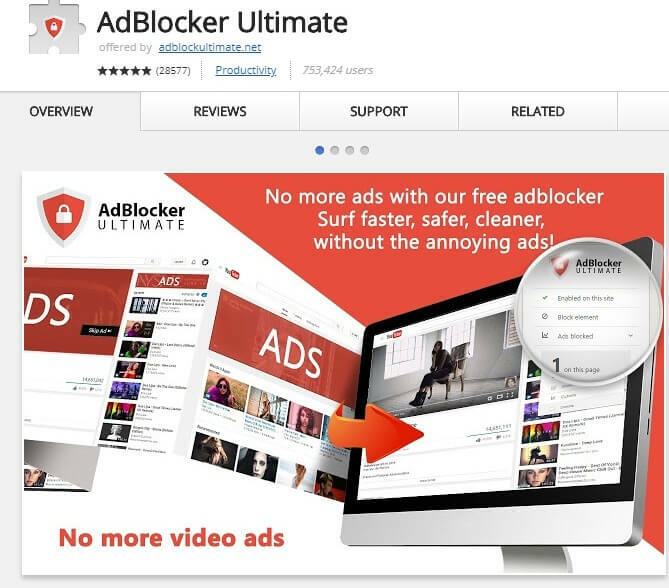 Apart from working as a popup blocker for Google Chrome, AdBlocker Ultimate can block any kinds of ads, whether they are on static web pages, video streaming sites or social networking sites. Unlike other blockers, it does not come with a whitelist to add certain sites to the exceptions list. It comes in the form of a free extension available on the Chrome web store and can also be used to block malicious domains and prevent third-party tracking. Next on our list of the best popup blockers for Chrome is Fair AdBlocker. 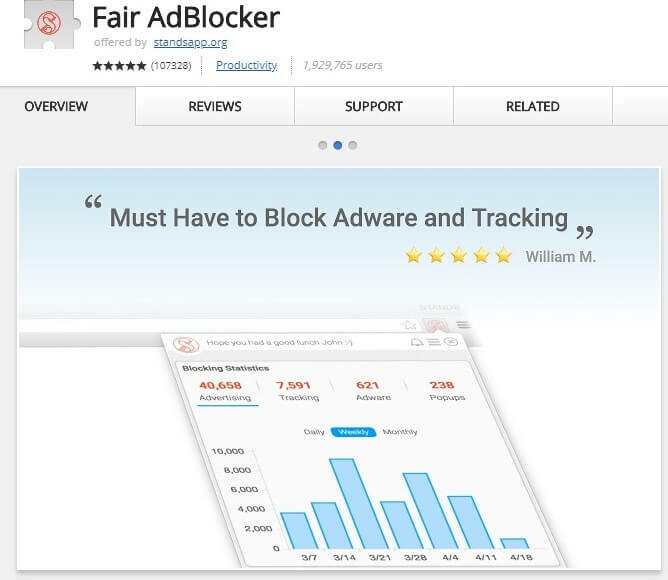 Developed by Stands, Fair AdBlocker is another free popup blocker for Chrome that is more than capable of blocking any kinds of ads, whether popups, popunder or autoplay video ads. The app also comes with the ability to block Facebook and Webmail ads. You can also allow certain websites to display ads by putting them on the whitelist. In addition, it can also block tracking to provide you a safer and more secure web browsing experience. Finally, we have AdGuard AdBlocker that comes with some unique features apart from just blocking ads. The Chrome extension once installed and enabled not only blocks the annoying ads and popups but also protects the users from malicious sites and phishing attacks. Users can also read security reports of any website and also choose to report them if they desire. By heading to the settings tab, you can also choose to allow or block websites from displaying contextual advertising. 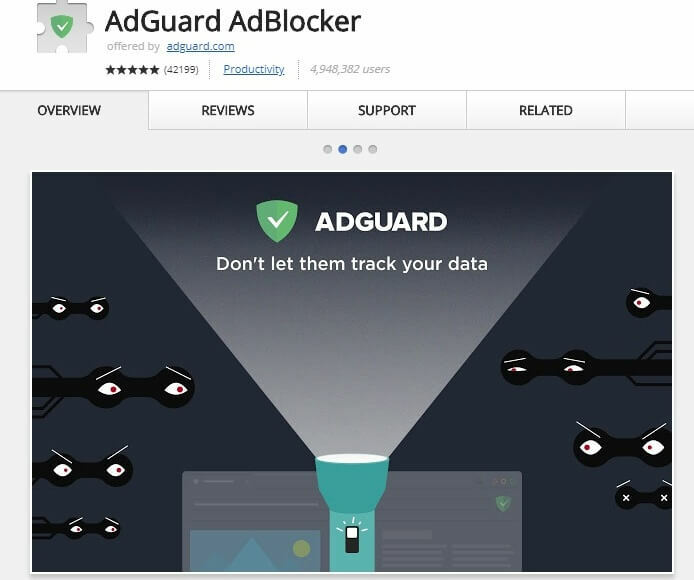 AdGuard is available as a free extension for Google Chrome. Due to the increased trend of posting ads on web pages as a source of revenue, the use of ad blockers have been on the rise and is expected to grow even further. To improve your web browsing experience we are certain that list of the best popup blockers for Chrome will be sufficient for you. You can also let us know your favorite ad blocker extension in the comments section below if it does not feature on our list.